Each of these three ceremonies are signs of God’s love for us – outward signs of inward grace. Holy Baptism is a wonderful moment in the life of any person, no matter what their age, as they become part of the Church – the worldwide Body or Family of Christ. Confirmation marks a person’s personal commitment to Jesus and the Christian way, and Marriage too is a special moment when a couple ‘become as one’ when they take vows in front of their family and friends, in the presence of a priest. For all these occasions, we offer informal preparation that will walk you through the service, and what to expect from the service. It’s a great chance to ask questions and get to know the church. We heartily encourage family and friends to join in these celebrations, take photos during the service, and share memories on social media. 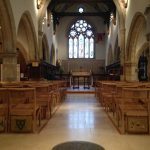 Below you will find a few photos of the church interior, so you know what to expect when you walk through the door. Baptism is a gift of God, open to all. 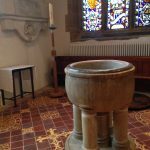 If you have a child you would like to be baptised, or wish to be baptised yourself, then please contact us at the Church Office. 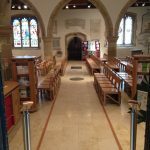 Baptism is normally administered to those living within the parish or for those outside of the parish but with current involvement or historic links with either Holy Trinity or the parish of Cuckfield. However, please do not be put off – the vicar is always happy to consider requests for baptism! When people are baptised as adults they are normally confirmed at the same time. Confirmation is a further stage in the Christian pilgrimage. At a Confirmation service, which is led by the Bishop, a person proclaims for his or her self the vows made at Baptism (usually for children by their Godparents). Children are normally ten or older, but like baptism, you are never too old! People wishing to be confirmed join church members in a series of informal conversations to explore what it means and what is involved. For further information please contact the Church Office.